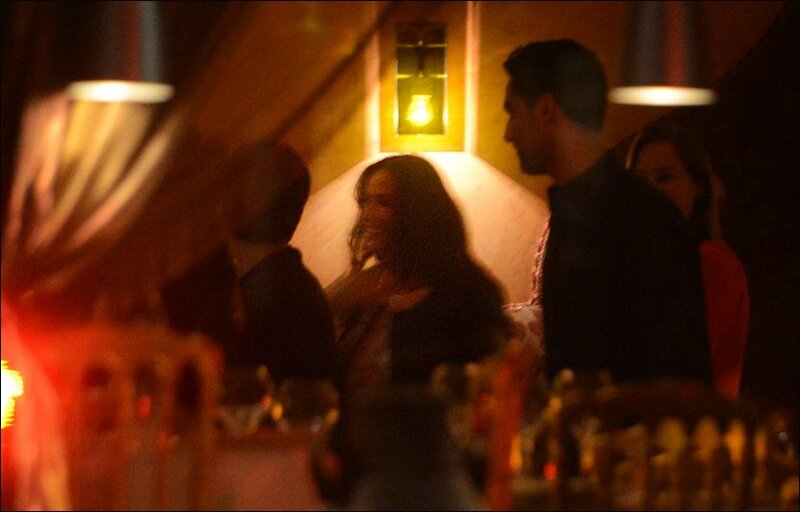 Demi Moore and her former co-star Stellan Skarsgard reunited last night among a party of guests at a restaurant in Stockholm, Sweden. Demi Moore, 49, and Stellan Skarsgard, 61, – who romped together in the 2000 film Passion Of Mind – caught up over dinner. Stellan Skarsgard – the father of True Blood’s Alexander Skarsgard – also brought his pregnant wife Megan Everett along. The Swedish actor and Megan Everett married in January 2009 – nine year after he shared intimate love scenes with Demi Moore in their movie (surely an interesting topic for discussion for the three of them over supper). The couple – who have a two-year-old son Ossian – are expecting a second child. While Demi Moore and Stellan Skarsgard may have been a flop on-screen – with Passion Of Mind grossing just $769,000 in the U.S. and Demi Moore receiving a Worst Actress Razzie Award for her schizophrenic portrayal of Marie/ Marty – clearly they still remain firm friends. Demi Moore – who split from husband Ashton Kutcher last year amid claims he cheated on her – is in Stockholm to celebrate the 45 anniversary of the Oriflame cosmetics brand, of which she is the frontwoman. Last night she dined at Beirut Cafe, with other guests including Spotify music service founder Daniel Ek, according to local media. Demi Moore was most recently linked to New Zealand actor Martin Henderson, but was also spotted out in Los Angeles with another younger mystery man earlier this month.